The Board also updated its water use-restrictions to coincide with other statewide changes, saying CVWD expects customers to continue managing water wisely based on the important lessons learned during the drought emergency. "We expect everyone to continue to be mindful of their water use and understand that water-smart behavior is now part of being a Californian," said General Manager Jim Barrett. "Even without the state mandate, conservation has always been an important tool in the long-term plan to eliminate overdraft of the Coachella Valley's aquifer." CVWD's own Water Management Plan, a blueprint for long-term sustainability that was first adopted in 2002, calls for a 20% reduction in water use by 2020. The Urban Water Management Plan, mandated by the state to be updated this summer, also calls for 20% reduction by 2020. Changing to a supply-based approach makes more sense to an area like the Coachella Valley that has a strong supply that isn't tied to users outside the region. "Eliminating overdraft of the aquifer is the most critical goal for our community and if we can do that with a variety of programs and projects that don't require 36% or 32% conservation then we should have the flexibility to do that," Barrett said. The Board also updated its water-use restrictions and extended them through January, in conjunction with the State's recent actions. CVWD will continue to enforce these rules and is required to report enforcement efforts to the state each month. Homeowners' associations or community service organizations cannot block, stifle, or threaten homeowners from reducing or eliminating the watering of vegetation or lawns during a declared drought emergency. "We know customers have learned to use water more wisely and some have taken permanent steps to reduce water use. I expect that customers will maintain a 20% reduction, even with no mandatory reduction in place," Barrett said. Drought penalties were put into place in July 2015, in response to the State's mandate that CVWD customers reduce water use by 36% compared to 2013. CVWD did not institute an across-the-board 36% requirement, instead tying conservation to the existing water budgets. Customers were asked to limit water use to 36% below their individual water budget or pay drought penalty rates. 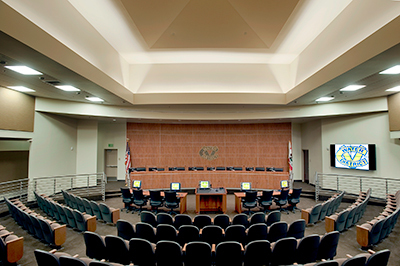 Following an adjustment by the State, CVWD reduced the requirement to 32%. Since drought penalties began, CVWD customers reduced water use an average 25% compared to the same time period in 2013. Water agencies are required to continue reporting monthly water use compared to 2013, and if reductions are not maintained the State could revert back to mandatory conservation targets. On June 14, the Board will consider proposed domestic rate increases and changes to the water budget structure. Under the proposal, water budgets would be approximately 25% stricter than the budgets that were put into place in 2009, thereby helping promote permanent, long-term reduced water use. CVWD invested $6.7 million in funding for conservation rebate programs this fiscal year and these programs will remain in place to help homeowners, businesses and homeowner associations reduce water use. For a complete list of conservation programs, tips for reducing water use and all the water-use restrictions, visit www.cvwd.org/conservation.